By decision of the Azerbaijan Republic President Mr. Ilham Aliyev, year 2010 was announced to be the Ecology Year. For this reason, to underline importance of ecology in our life and to draw public attention to ecologically friendly transports the Buta Arts Centre together with the Ministry of Foreign Affairs of Azerbaijan and with participation of the European Chamber of Trade, Commerce and Industry in Azerbaijan and Azerbaijan Methanol Company (AzMeCo) organized the First Azerbaijani Cycling Week. 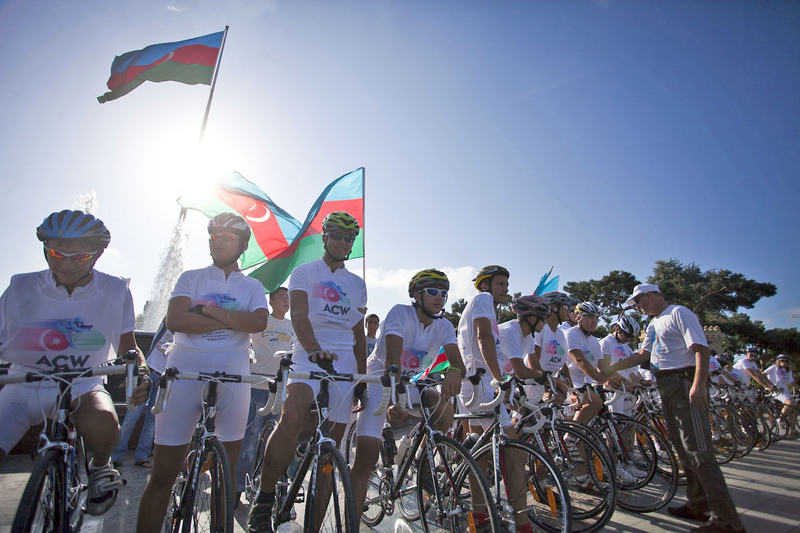 From 28 August until 6 September 2010 a group of cyclists moved from Baku to Ganja city. This competition was met with great interest and caused big positive resonance of the publicity. Within this project Buta Lab developed ACW’s complete look, including full branding.